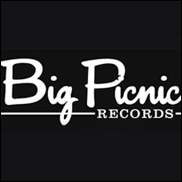 NEW YORK (VIP NEWS) — US based Paradigm Talent Agency announced on Friday the launch of a new music label called Big Picnic Records. Funded by private investors and distributed by Sony's RED Music, Paradigm's head of East Coast music Marty Diamond will provide A&R support to Big Picnic general manager Patti Hauseman. The label's first release is by British singer-songwriter WALL, whose debut EP, "Shoestring," came out April 2. Future releases planned include London's Foxes and the Los Angeles duo JOHNNYSWIM. Said Diamond in a statement: "It seems like a logical outgrowth of our efforts to support the development of new artists. The artists signed thus far are unique and very exciting." Paradigm is a full-service agency with offices in Beverly Hills, New York, Monterey and Nashville. Its music roster includes Aerosmith, Black Eyed Peas, Coldplay, Dave Matthews Band, Dwight Yoakam, fun., Phish, and Toby Keith, among many others.